Successful business events require a lot of planning. In addition to equipment such as display boards and presentations materials you are also working to make the event more unique and memorable. 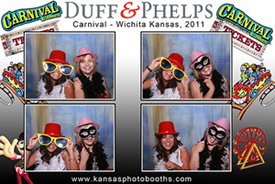 A photo booth is a great addition to any corporate event, as it adds fun and excitement to the event. The right photo booth is essential for success. From corporate social events, such as employees parties, to marketing events, a photo booth is a great addition. You can add a real buzz to your event with one of these booths and something like this can even promote a fun image for your company. These booths are ideal for all sorts of business events and have grown in popularity over recent years. Social media posting during an event helps increase the buzz. Adding a photo booth at your event is an easy and fun way to engage your guests, provide a takeaway, and encourage them to spread the word about your brand (or couple) on social media. However, booking just any booth and expecting awesome results isn’t as likely as you would think. Not all booths are created equal. 1. Find out what options there are for backgrounds and props. . There are a lot of options for backgrounds and props. Some companies go to a dollar store for their props and purchase cheap backgrounds while others will make sure that they have some very nice props on the table and that the backgrounds photograph well. Don't assume that everyone care as much about your event as you do. 2. Check the height and orientation of the camera’s location on the booth. If your plan is for guests to be able to stand the camera position should be a little higher than a typical seated booth configuration. Also, if you are expecting couples you may want to discuss a verticle camera orientation. Both have advantages and disadvantages. 3. How much space will be required? Some booths take up very little space while others need more room to just run. 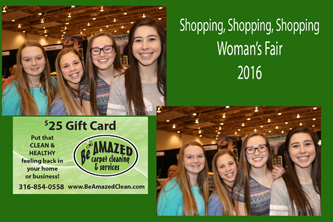 If you are having a background as part of your booth a larger background will allow groups to stay on the background. Part of what you are looking for here is what kinds of images are you expecting. Couples and small groups don't require a lot of elbow room but large groups will. What should be looking for here is both the quality of the prints, the resolution of the digital images or videos for gif booths, and the ease of sharing on social media and via email. Great photos are fun, but if sharing them is a cumbersome process, guests will walk away with a print and your event images won't be shared as you would like. Office Party An office holiday party is a time to forget about working world and just have fun with co-workers. All employees have a chance to socialize, enjoy themselves and foster personal and professional relationships. The addition of a photo booth is a great ice breaker for those employees who have trouble letting their hair down in the early stages and around their boss. Not only do people tend to be drawn towards it and start having fun, but as multiple people convene they usually start laughing together and discussing which props make the best pictures. This is a great way to get the fun started and encourage everyone to loosen up. Conferences and Exhibitions If you are attending a conference or an exhibition, your goal is almost certainly to grow your business. A photo booth or social media kiosk will attract potential clients or customers and help create the best impression you can. 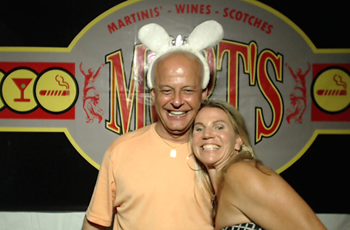 A photo booth is a promotional gift with a difference, and a fun way to draw people to you. Photo booths tend to grab people’s attention, and so its presence will drive them towards your booth. The booth and the photos from it will personalize their visit to your business. Your typical branded gifts are nice but having a photo booth is more personal and keeps them at your booth and gives you more of a chance to interact. Team building Events< Photo booths can be useful at team building events for similar reasons to those that apply at office parties. They give people some time to relax, break the ice, get them cooperating in a friendly way, and encourage them to work well together. 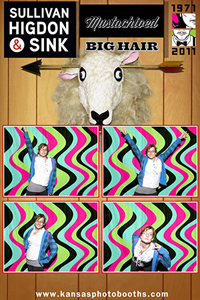 It is also possible to build enjoyable team building challenges or exercises around the presence of the photo booth. The exercises that engage employees most effectively are often those which are great fun and give scope to be a little bit silly. For example, at a sales or marketing event, you may split employees into teams and encourage them to construct a thirty minute marketing plan for something from the prop box, complete with effective marketing images taken in the booth with the help of a green screen technology. Surveys Learn about your customers by asking them questions during the booth session. This is also a great way to gather contact information for follow-up. Social Media Only Kiosk These are a great way to make sure that people have a digital copy of the photos for sharing. Step-and-Repeat Backgrounds An excellent way to brand the photographs and create a Hollywood style look. Automated photography or have a photographer take the pictures A more personal approach is to have a photographer take the pictures. Contest Mode Encourage usage of the booth by tying the photos in with a drawing or let the software assign random prizes. Slide Shows If you already have a slide show as part of your presentation then when the presentation is over use the projector to share the photo booth memories. Most prominent venues in the Wichita Ks area have the capability for projection. If they don't and you really like the idea a large screen television will work. You can even have the images stream on the local wifi so the booth activities can be seen in other rooms. Photo Selection Let the person in the booth pick their favorite photo. This will help assure that what they receive is an image that they will want to keep and share on-line. This can slow the booth down at very busy events. Branding Options As part of preparing for your event we will also work to brand the booth. Branding can be as simple as adding corporate logos and graphics to the screens the customer sees to replacing panels on the booth with graphics so the booth truly becomes a part of your business. Combine this with a step-and-repeat background and you will have a Hollywood look for your event. Videos and Gifs in Booth Share Increase customer engagement and on-line impressions - our included on-line share option can now display Videos and animated Gifs. Customers can share via email or text message. Once it's in their phone it can go anywhere they socialize. "Photo Booths" have made a comeback as a supreme accessory to make a corporate event, trade shows, marketing event or company anniversary a memorable experience by creating a fun and comfortable environment for capturing those valuable moments. Also, photo booths provide a memento from the event and can even help businesses advertise their successful events effectively to obtain more clients. Make it personal A photo booth offers a variety of props and custom signs for guests to pose with. Our mirror booth even supports signatures on the photos. Props that are usually included with the rental of a photo booth include items such as masks, wigs, plastic weapons, boa's, necklaces, hats, tiara's, glasses, and much more. Share The Moment with Branded Social Media Posts Put your company on display. Giving people the opportunity to interact with others in a group setting that offers a fun way to capture memories with their colleagues. Photos can be labeled with a company logo and are can be uploaded to your on-line presence or individual accounts. As a result, the photos are repeatedly shared through social media and email. Retail Having a photo booth set up during an event is an excellent way to create brand exposure and attract people to buy the company's products. Consider your photo booths as a people magnet. One approach we things is especially valuable is to add discounts or coupons to the photo. This is a great way to increase sales and to remind your clients of your company even after they have left your event. Be sure to contact us for a quote. Art's Photography will provide you with a fair, honest, affordable option to have a photo booth at your next business event.